Dornoch Historylinks Image Library - Dornoch Bridge Northern Times Special Supplement. 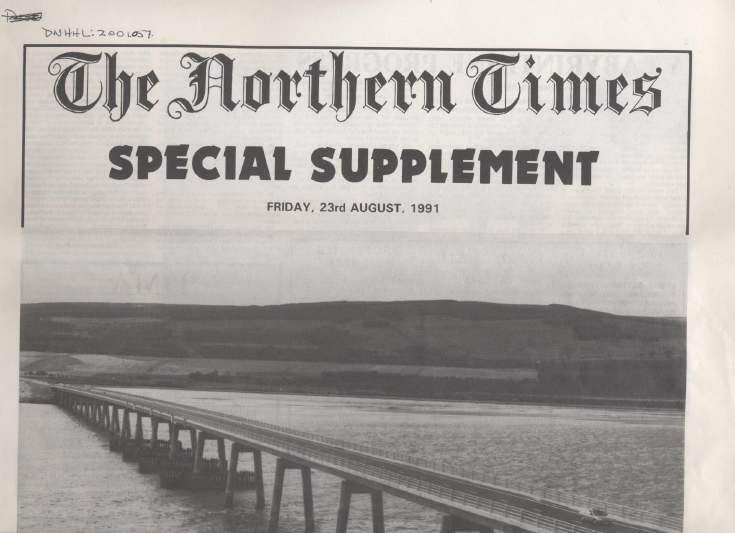 Dornoch Bridge Northern Times Special Supplement. Copy of The Northern Times Special supplement on the making of the Dornoch Bridge. Includes articles on the crossing of the firths and previous bridge plans.